An entire movement has been born out of the desire to protect the natural world, prioritizing reducing emissions and institutionalizing sustainable systems. 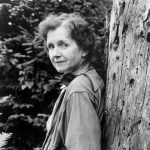 In honor of Women’s History Month, it seems only fitting to share about female environmentalists that have shaped the environmental movement and more that continue to do so. 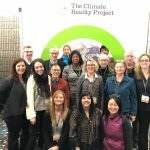 I had the pleasure to attend the recent Climate Reality Project Leadership Corps Training, where I got to hear from environmentalist Al Gore and others on how to solve the current climate crisis. As we begin a new year, although climate change claims every other major news headline, there are reasons for hope this year. Conservationist John Muir found inspiration in nature, which is once again serving as a model on how to solve the formidable challenge of mitigating climate change. As shocking as watching people walk around the Bay Area with surgical masks on due to smoke and horrendous air quality, it is starting a discussion. When public health and environmental issues become visible, the results of climate change become relevant. Two degrees. This has always been the focus, the threshold, the point of no return. At the San Francisco Global Climate Action Summit, a temperature increase of two degrees no longer seemed urgent enough. And it isn’t. 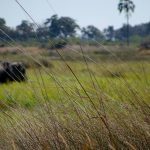 Attending a screening of the documentary “Into the Okavango” at the San Francisco Green Film Festival transported me back to the Okavango. The rising loss of such gentle giants has sparked a new form of innovation—conservation technology. 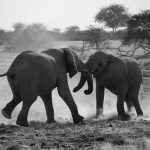 Although untouched remains a myth and pristine has ceased to exist, the remote stunning nature of the African wilderness is what draws people near and far. The ubiquity of plastic is not something new.